Celadon, pale green, jade, mint: whatever name we give to this family of shades, tis the same effect, a cool, calm, soothing salve of a colour. I’ve used it a lot in my own home. It started with trying to choose a single shade for an upstairs carpet that had to work all the way up the stairs and through every room, from the main bedroom to my son’s room, guest room and hallway. The bathrooms were finished in a pale grey marble, and playing with colour swatches, it was always to the blue-green spectrum that I returned. (Hurlingham from Mylands is pretty close to the colour I chose). 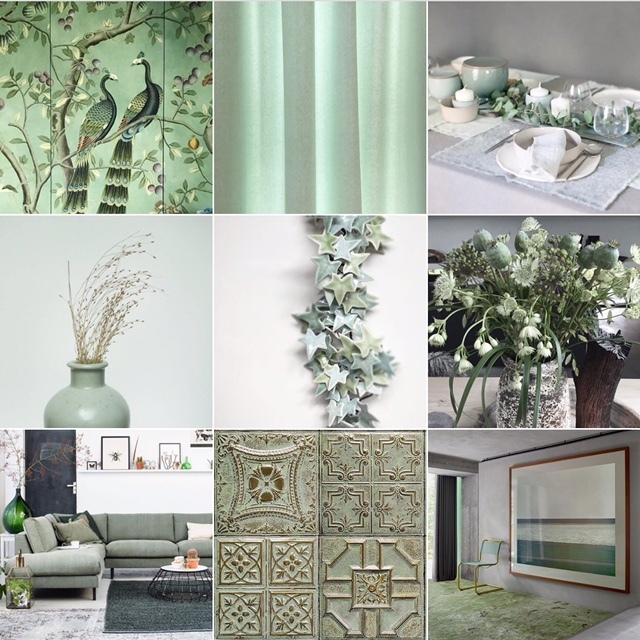 Somehow this family of shades worked effortlessly with every room’s palette and I ended up choosing a similar minty hue for the curtains in two of the rooms too (see image at 12 o’clock on my Instagram moodboard below!). 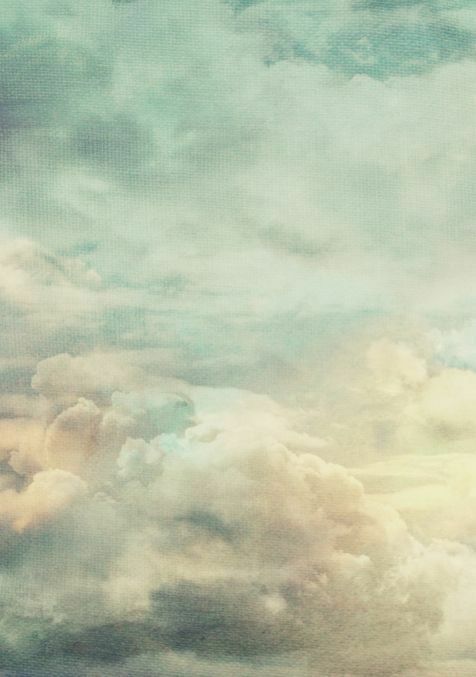 Celadon: @michelleogundehin Instagram moodboard. Check feed for credits. The thing is, celadon is what I refer to as a subconscious colour, in that it’s there, but not overtly there. It floats along, gently doing its thing, making a whisper of a statement rather than shouting for attention. It just says, “easy”. Think of it in the same way as a lush, verdant garden that nevertheless doesn’t scream ‘green’ or wooden floors that rarely shout ‘brown’; as such, these hues just are. Which makes them tremendously adaptable, because as greyish-greens with blue undertones, they’ll work happily alongside anything in the blue family from powder blue to indigo via navy, also grey, metallics and even chartreuse to lemon yellow — see my Pinterest ‘Easy’ palette for more inspiration. (The image below is also a fabulous one-stop demonstration of this #paletteinapicture by artist Evelyn Flint from her Tumblr Cumulus Life.) However the really hot colours, reds to oranges, would be more of a struggle simply because they sit so far away from this side of the colour wheel in terms of character. Celadon of course also refers the eponymous ancient Chinese and Korean pottery renown for its myriad green to blue hues, produced because of a natural reaction between iron in the clay, the glaze used and the heat of the kiln. It’s a wonderful reference for the home because the ceramics generally have a sort of in-built patina; a natural range of tones within each piece, which is what gives them life and animation rather than the flat uniform tones of much poor contemporary pottery. In the same way, it’s important to vary the finishes if using pale greens in the home to guard against it all becoming too pale and uninteresting; I love plain velvets for curtains, thick pile wool for carpets, linens on the bed, and silky, sheeny paints for the walls. This way you could use the exact same shade on every piece, but put them together and the differing materials would ensure glorious textural variety.